We all know how important it is to write SEO optimized content. It’s a standard that one should follow so that search engine understands what your content is about and helps in getting on the first page of Google search. If you are not doing this, You need to get out from under that rock you’ve been living under! Our previous guide on On page SEO is a good place to get started to understand about different things you can do to make your content optimized for single or multiple target keywords. Today, I have something highly useful to share with you, and this is a new toolkit by SEMRUSH called SEO writing assistant. It’s one tool every blogger and writer should be using. If you are someone who hires writers for your blogs and business, you should definitely use this tool. In recent times, I have not seen a tool which analyzes the content to give SEO suggestions to rank on the first page of Google search. What is SEO content writing tool by SEMRUSH? And according to my knowledge, they are also adding a few new features. I have been using this tool for the last three months (using their Google docs addon). 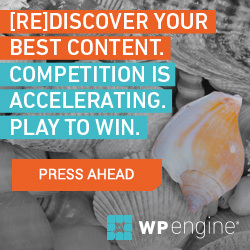 Recently, I got to know about the WordPress plugin they have which is currently available to download from their site. 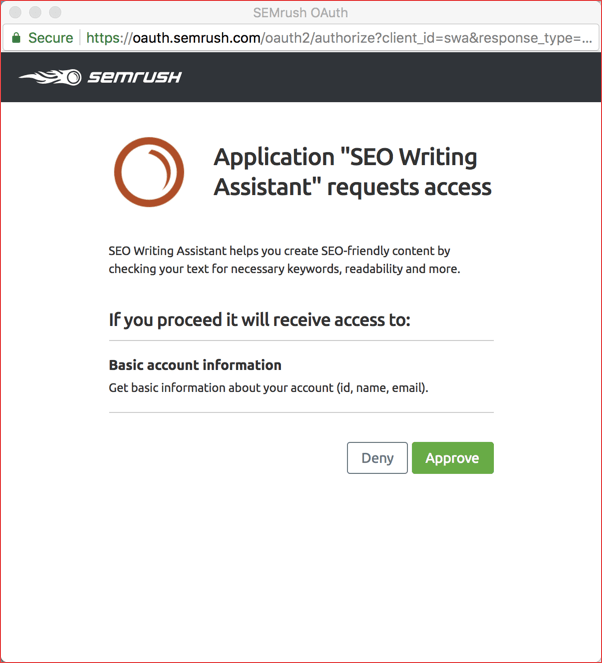 You can download and use SEO writing assistant WordPress plugin right away from here and use your SEMRUSH login to access it. If you don’t have SEMRUSH access, you can try them for free for 14 days using this link. In this post, I will show you how to use their WordPress plugin. 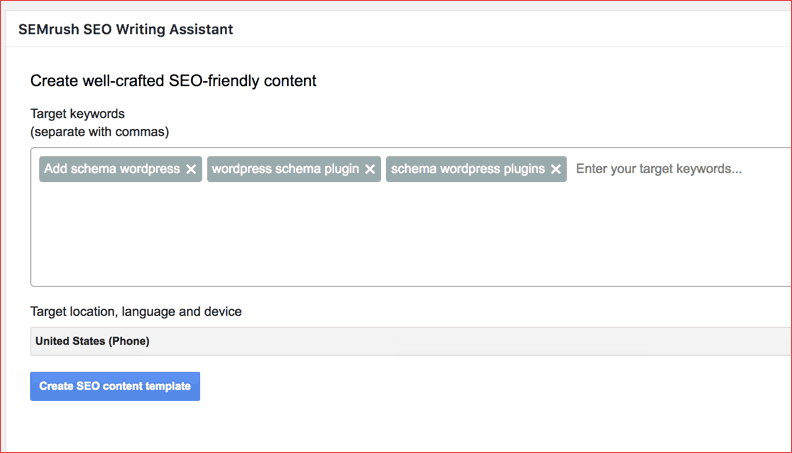 Now in your WordPress editor section, you will see a new column called “SEMRush SEO writing Assistant”. You can drag it from the bottom to somewhere around the writing section for quick access. 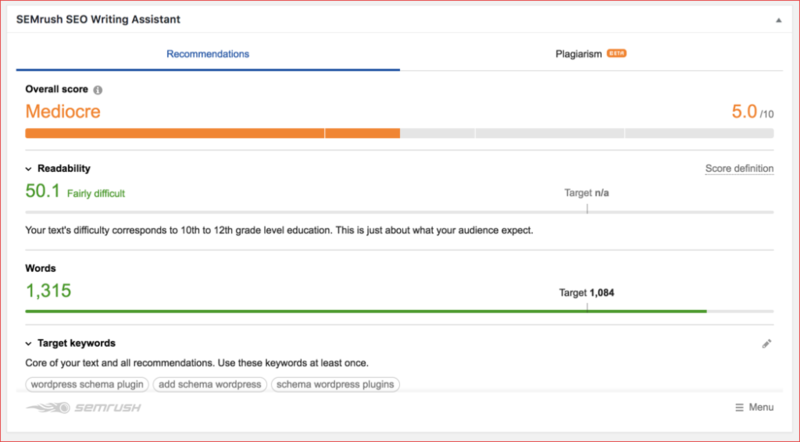 Once you finish the steps above, you can optimize your old posts and new for your target keyword. You need to click on create a new template in the “SEMRush SEO writing Assistant” part and add your target keyword and location (see the below screenshot for better understanding). Now add your target keyword or keywords, and you have the option to select your target location and device (desktop or mobile). 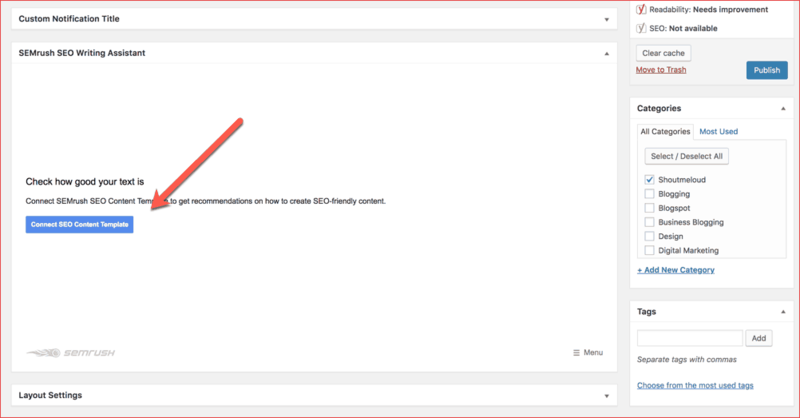 Once done, click on “Create SEO content template”, and it will start creating recommendations. Now, every part is equally important, but I usually pay special attention to “words” and “recommended keywords” section. Since these suggestions are based on current top 10 results for target keywords, it saves you from the headache of figuring the ideal length of the content”. The ideal length could be 300 or 3000 words. This should be determined by the keywords that you are targeting. Overall, this is a fantastic tool for anyone who publishes online. However, you need to keep in mind that it is an assistant tool and it definitely helps but doesn’t rely solely on the suggestions. A good mixture of recommended suggestions, plus your intelligence will be the best way to make your content rank higher. This toolkit doesn’t have an inbuilt spelling or grammar checker, but you can use Grammarly along with this for better results. Ensure that your content is of high quality and adds value. Pick the right keyword and create content based on user intent, this would be the key to success in organic ranking. Now it is your turn to let me know the review and feedback of SEMRush SEO writing assistant tool. If you are using any other tool, do let me know in the comments below. Oh wow i love using SEMrush and I didn’t know they have a plugin for writing content. That’s really great and I would love to try it out and improve my content.